The motel offers a restaurant. A bar/lounge is on site where guests can unwind with a drink. 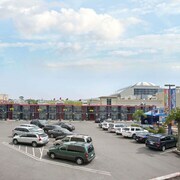 A 24-hour business center is on site. Public areas are equipped with complimentary wireless Internet access. This eco-friendly motel also offers an outdoor pool, multilingual staff, and laundry facilities. Parking is available onsite for a surcharge. Thriftlodge Niagara Falls at the Falls is a smoke-free property. 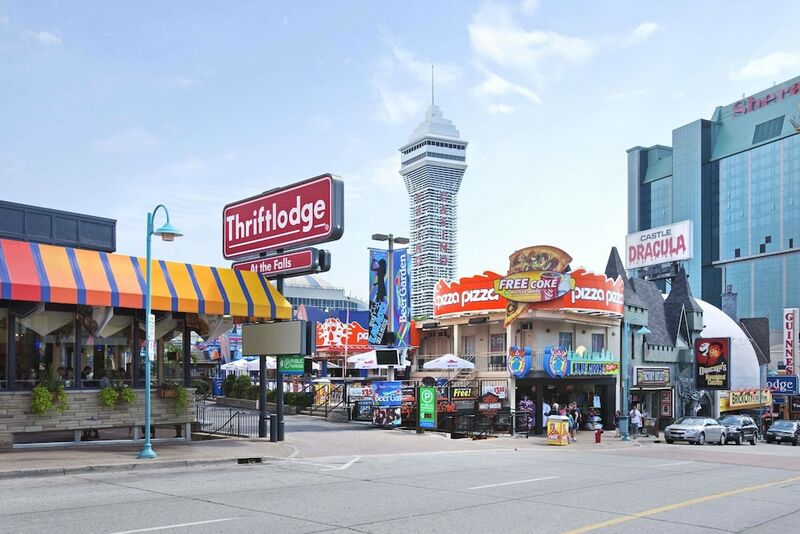 Situated in Niagara Falls, this eco-friendly motel is steps from Niagara River Gorge, Clifton Hill, and Ripley's Believe it or Not. 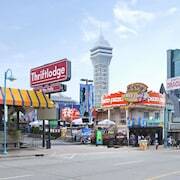 Casino Niagara and Fallsview Indoor Waterpark are also within 10 minutes. Niagara Falls Station is 29 minutes by foot. A restaurant, an outdoor pool, and a bar/lounge are available at this smoke-free motel. WiFi in public areas is free. Other amenities include a 24-hour business center, self parking, and dry cleaning. All 38 rooms offer free WiFi, coffee makers, and TVs with cable channels. 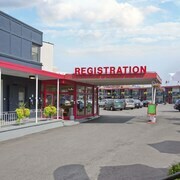 Thriftlodge Niagara Falls at the Falls offers 38 air-conditioned accommodations, which are accessible via exterior corridors and feature coffee/tea makers. Televisions come with cable channels. Bathrooms include shower/tub combinations. Guests can surf the web using the complimentary wireless Internet access. Business-friendly amenities include phones along with free local calls (restrictions may apply). Niagara Clifton - This restaurant specializes in American cuisine and serves breakfast, lunch, and dinner. 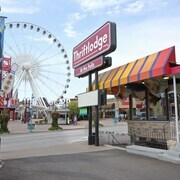 Open daily.